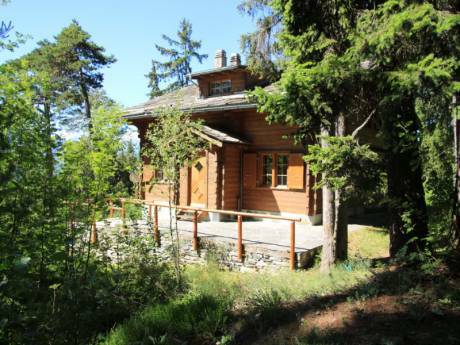 Independant typical mountain chalet in quiet residential neighborhood but only 1 km from famous Crans-Montana. 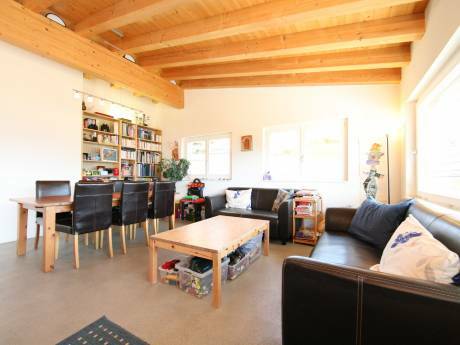 3 bedrooms on first floor, balcony with magnificient view on the alps. Living room with fireplace, independant kitchen, fully equipped, 2 bathrooms and 1 separate toilet. Nice garden with barbecue, sunbeds, table and chairs. Gardener provided. Non smoking-residence. No pets admitted. 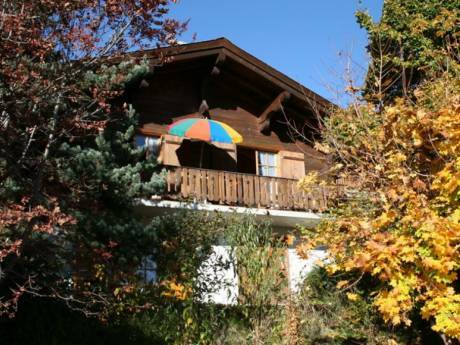 We are in our fifties, live in Geneva and spend lots of time in our mountain chalet where we go hiking and profit from the sunny mountain weather. Paul is banker and Esther travel consultant. We like very much scuba diving and other water sports and when travelling abroad we like to change scenery and spend our time at the sea. We are very tidy and would like our guest to take good care of our home and will do the same to heir home. CRANS-MONTANA is ideally situated for many sports activities. The European Master golf course is situated right next to our chalet and there are at least 5 other golf courses within 30 mintues driving distance. Mountain hiking, biking, swimming in mountain lakes, parasailing etc. are just some of the other activites offered in summer. In winter, the world famous ski area offers countless slopes for downhill and cross-country skiers. Other famous resorts as Zermatt, Saas-Fee or Verbier are within 1 hour driving distance. Geneva and Milan are 2 hours by train from Sion.